Xiaomi is gearing for another event in China tomorrow. Based on rumors and leaks so far, the company is most likely to unveil the Mi note 2. The smartphone has generated a lot of buzz before the launch. The buzz has mostly been about its dual-edge display, which is a first for Xiaomi, though Samsung has already embraced it with Galaxy S6 edge and S7 edge phones. Another key highlight of the smartphone is the dual-camera setup, which seems to be the latest trend on mid-range and premium smartphones. Xiaomi has already launched the Redmi Pro and Mi 5s Plus with a dual-camera setup. The Mi Note launch event is scheduled to begin at 11:30AM IST tomorrow. Before the official launch, let’s round up everything that has surfaced about the Mi Note 2, and what can we expect from tomorrow’s announcement. Along with the dual-edge display, the dual-camera is also one of the most hyped features of the Mi Note 2. 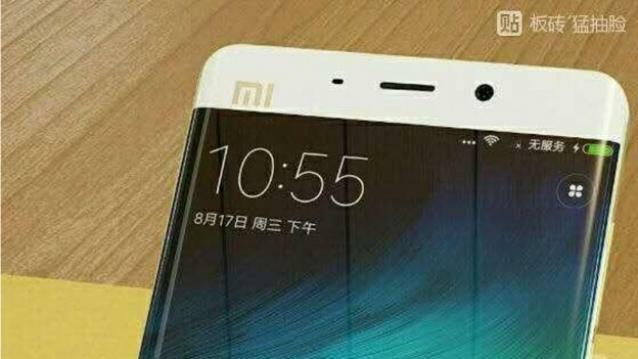 Leaks suggest that the Mi Note 2 could come with a single camera at the back, while the dual-camera setup could be reserved for the Mi Note 2 Pro. The setup is likely to include a pair of 16-megapixel snappers, but it is not known as yet if the functionality will be similar to the Redmi Pro or the Mi 5s Plus. Just to recall, in the Redmi Pro one camera captures photos and the other captures depth and adds DSLR-like blur effects later whereas the Mi 5s Plus uses Qualcomm’s ClearSight technology to deliver quality photos with less noise. It has one RGB color sensor while another one is a monochrome sensor, similar to what we have seen on the Huwavi p9. 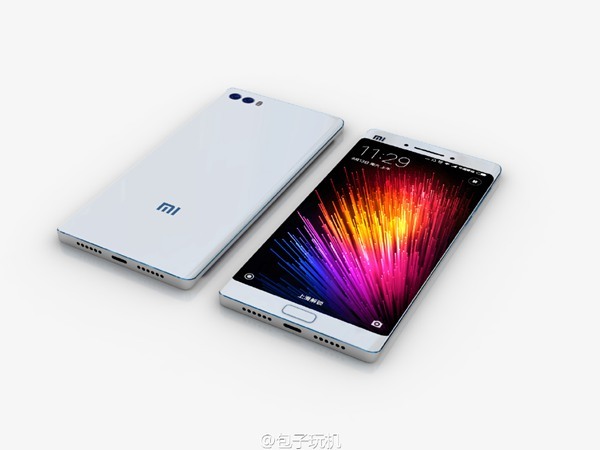 The Xiaomi Mi Note 2 is expected to have a 5.5-inch or a 5.7-inch QHD Super AMOLED display. Interestingly, rumors suggest that Xiaomi has been sourcing the display from none other than Samsung itself. For performance, the Mi Note 2 is likely to rely on Qualcomm’s top-end Snapdragon 821 processor. The Mi Note 2 could feature 4GB of RAM, while the Mi Note 2 Pro could come with 6GB of RAM. The storage variants are expected to be 64GB, 128GB and 256GB. While the smartphone is expected to have 16-megapixel rear camera, it is likely to have 5-megapixel front facing camera. The smartphone is likely to come with a 4,000mAh battery with Qualcomm’s Quick Charge 3.0 support for fast charging. Connectivity options may include dual SIM card slots, 4G LTE with VoLTE HD voice calling support, NFC, GPS Bluetooth, and Wi-Fi 802.11a/c. 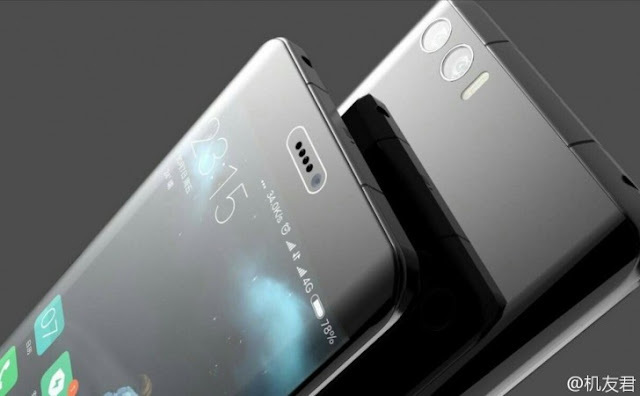 The smartphone is expected to come with an ultrasonic fingerprint scanner, like the Xiaomi Mi 5s. On the software front, the Mi Note 2 could come with Android 6.0.1 Marshmallow-based MIUI 8. Rumors also suggest that the Mi Note 2 Pro could run on Android Nougat 7.0 based MIUI.